The weekend starts early for me because THERION are kicking off their European tour in the German town of Essen, which is not far from my home. I haven’t seen the Swedish Opera-Metal band since Female Metal Event 2015, so I’m excited to see them again and more so to listen to their new material live. But before THERION there are three support bands on the bill. 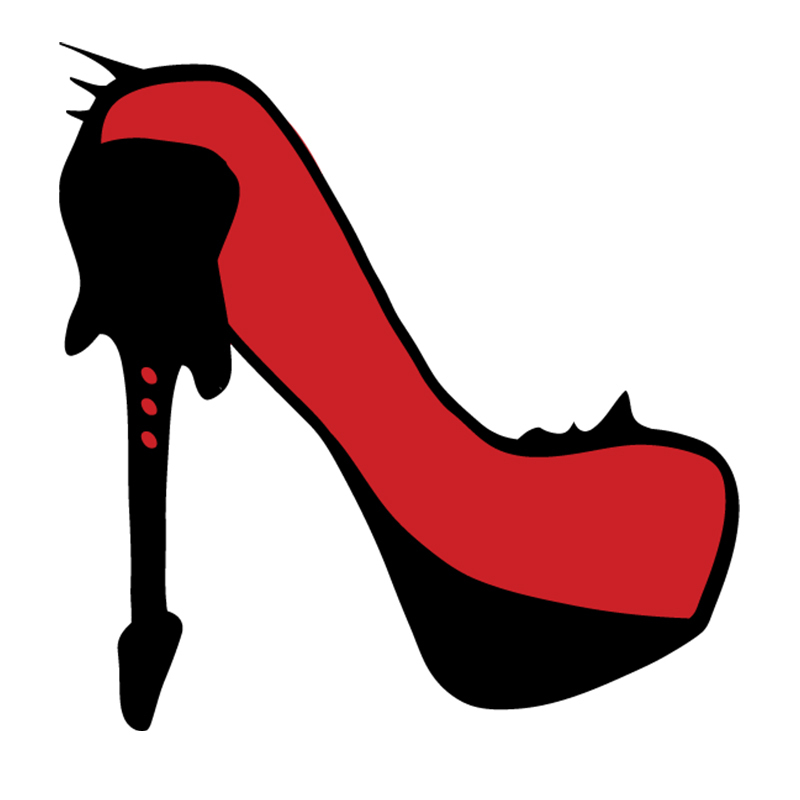 Since we talked about Metal Business on the Metal & High Heels Podcast with some interesting insight from SERENITY-singer Georg, the business behind the scenes has been on my mind and so I wonder if this trend of packing as many support acts as possible on a tour has to do with the touring economy. I find it annoying to have the show start at 18:45 and also the fact that the first two bands don’t have much in common with the headliner. Another downside of four bands playing a club tour is that the stage is packed! All three supports share a drum kit and don’t have any room to move. The ones with the least free space are MIDNIGHT ETERNAL, a Power Metal band from New Jersey. As they are playing pretty early and are obviously not very well known around here, there are only a few people in front of the stage. Frontwoman Raine Hilai has some technical difficulties with her in ears and screams out of tune. Guitarist Richard Fischer has a couple of vocal parts and I like his singing better. Raine Hilai‘s gorgeous hair deserves a special mention, though – shoutout! NULL POSITIV discreetly steal the show. Suddenly I remember that the last time I was here at Turock in Essen, I saw SEVEN KINGDOMS live with MANTICORA and the venue remained as empty as with tonight’s opener. For NULL POSITIV, however, Turock suddenly fills up and gets loud. The four musicians get on stage bringing banners, wearing similar makeup and stage clothes – I like a cohesive band-look! Heavy Metal in languages other than English have always sounded a bit weird to me but growls on German sound especially funny. I haven’t followed the band, but I seem to be in the minority, for the audience is not only head banging more and more, but also singing along. Frontwoman Elli Berlin has a strong presence and not only growls but also raps to NULL POSITIV‘s gloomy, nu-metal tunes. The German band’S show gets better and better, with the audience chanting for an encore in the end, without success. The Russian Symphonic Metal band IMPERIAL AGE haven’t yet walked onto the stage and I already like what I see. The six musicians are wearing intricate, medieval-fantasy costumes in black with gold and silver details, some resembling warrior-armor. When IMPERIAL AGE‘s music finally starts, I’m very impressed by the powerful operatic voice of Alexander “Aor” Osipov – and it’s just a pity, that I can barely hear his vocals. His co-lead-singer Anna “Kiara” Moiseeva is benefitting from the sound engineering, however, and much louder. It should be the other way around. 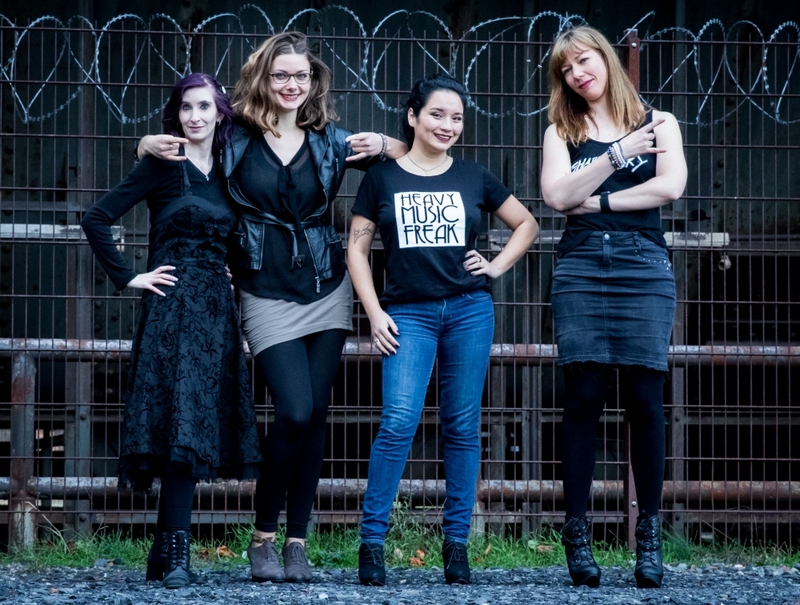 Co-founder, singer and keyboardist Jane “Corn” Odintsova jumps out from behind the keyboards now and then to join the two vocalists with some beautiful singing of her own. After overcoming the sound problems, the Russians impress with their vocals and their ability to move in such a packed stage. All three vocalists harmonize in a really nice mixture of styles and melodies – a nice performance by the whole band, with Alexander making the extra effort to get the audience to interact. The venue was left half empty after NULL POSITIV got off the stage, which is why I don’t like tours that put bands together just for the sake of having women in them. Some Power Metal before the more Symphonic, operatic IMPERIAL AGE and THERION is fine, but obviously a lot of people came to see the completely different style of NULL POSITIV only – and were not convinced to stay. 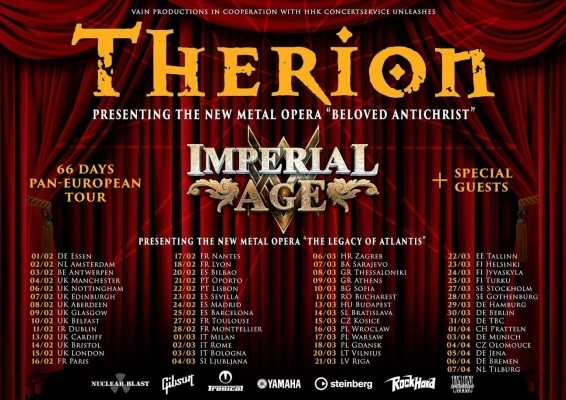 THERION: the Symphonic Metal pioneers take the stage. Even THERION have a bad start with their sound, but luckily, the sound problems are resolved quickly and without much fuss, and the show can go on. The cohesive band look I observed before is lost in the Swedish/international ensemble: band mastermind Christofer Johnsson is known for his Steampunk dresscode, which is followed by singers Thomas Vikström, Linnea Vikström, and Chiara Malvestiti; meanwhile, drummer Sami Karppinen, bass player Björn Nalle Påhlsson, and guitarist Christian Vidal go for the gotich-infused more casual attire. THERION‘s sound, however, is a united front, well rehearsed until the last drop of performance. Even the theatrics, the musicians’ movements look so calculated, as if they had been practicing on this very stage everyday. The singers interact with the audience and with each other, but they also give each other space, stepping back into the shadows when it’s not their turn to charm the crowd. The songs off THERION‘s latest album “Beloved Antichrist” are well received by the audience and the setlist is spiked with hits like ‘Blood Of Kingu’, ‘Lemuria’ and ‘The Rise Of Sodom And Gomorrah! Towards the end of the show, Christofer Johnsson grabs a microphone to announce that THERION is celebrating 30 years of existence this year and to get the audience cheering because “we’re never too old for Heavy Metal!” – I totally agree. The festive tour kick-off ends with ‘To Mega Therion’, after which the die-hard fans that were singin along in the first rows wait around to greet the musicians and get their “Beloved Antichrist” signed. I still wonder why the mighty THERION would choose the town of Essen to start their 66-date European tour, but I don’t complain – I’m glad they did and I’m glad I came here tonight. Have you seen THERION live before? Are you planning to attending one of their shows? I totally recommend catching one of the shows on this tour! And if you liked this live report, share it!